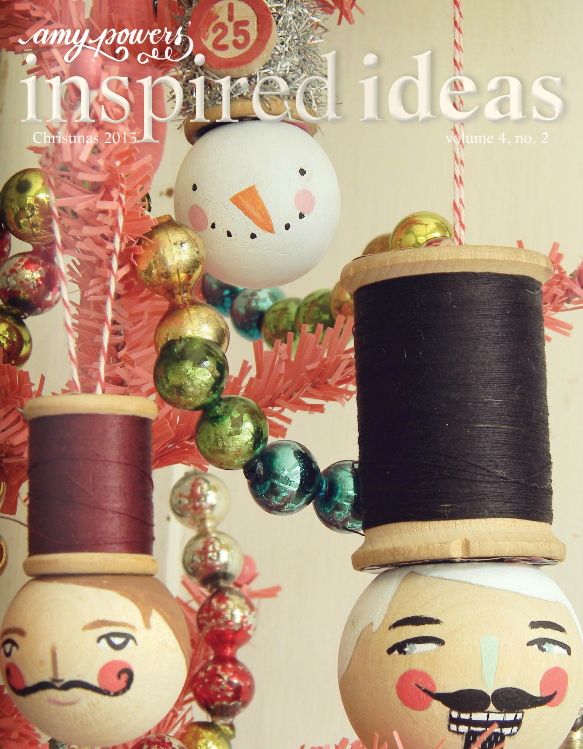 The latest issue of Amy Powers’ Inspired Ideas is now available online! 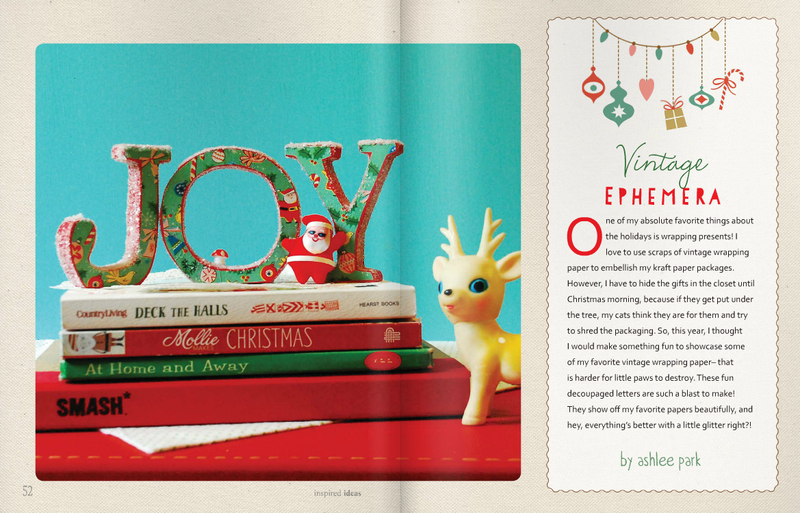 You are going to LOVE this latest treasure trove of crafty holiday inspiration! I am proud to be a part of putting it all together. From writing the book reviews to editing the copy, every bit of it was a pleasure! 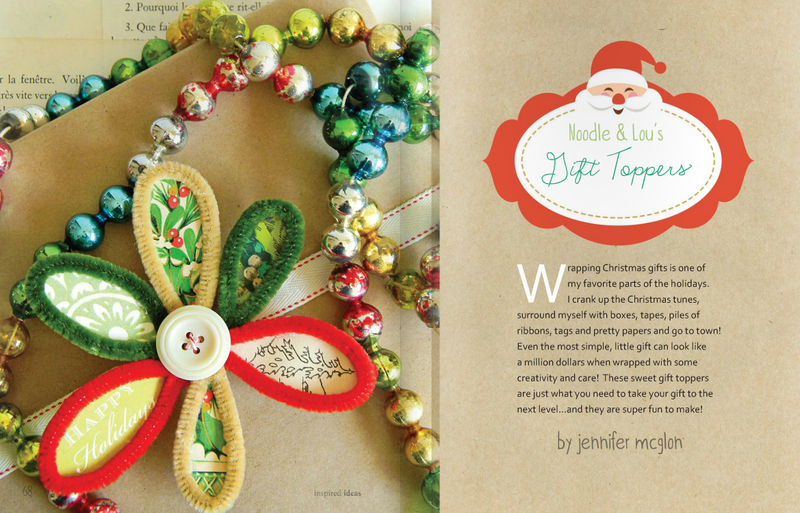 One of my favorite projects was Noodle and Lou’s Gift Toppers. I mean, how cute are these? Time to start gathering the vintage papers and get to work! I also have a soft spot in my heart for these adorable vintage ephemera letters by Ashlee Park! Seriously cute, don’t you think? And I can’t help but mention the book reviews. 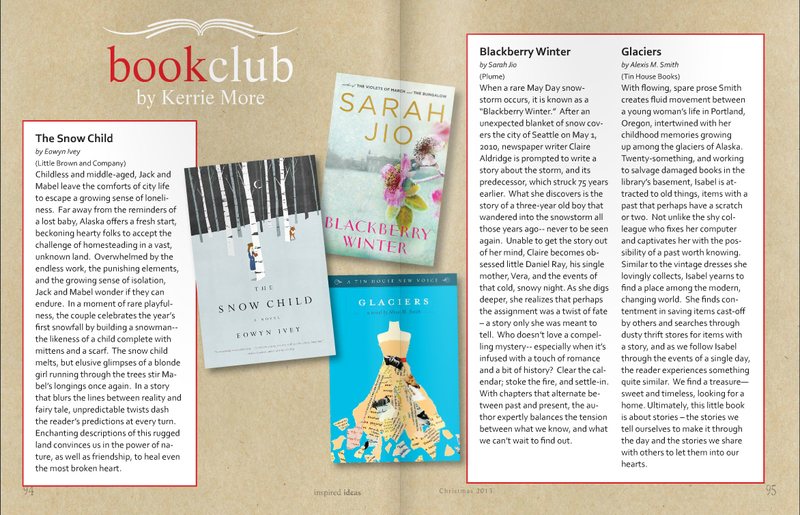 Among several craft-book reviews I wrote for this issue, I also included some great “snow-themed” fiction books – perfect for a cozy afternoon by the fire. Hurry over to Amy’s site to get this incredible online magazine for only $3.99. It’s a great bargain for so many great ideas! Happy Holidays, Happy Crafting, and of course, Happy Reading!